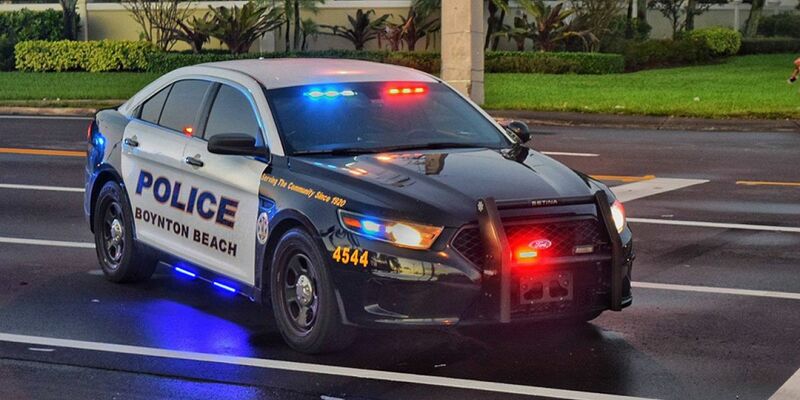 BOYNTON BEACH, Fla. — The Boynton Beach Police Department will honor members of its department during an awards ceremony Tuesday afternoon. Officers, detectives, dispatchers, and other staff members will be recognized for the work they’ve done during the first quarter of the year. On Feb. 27, Officer Greg Wertman was hit by a car while chasing a shoplifting suspect near Gateway Blvd. and Congress Ave.
Boynton Beach police said Officer Rachel Baldino was instrumental in the arrest of the suspect, 24-year-old Ryan Moody. Police said Officer Baldino’s use of intel helped track down Moody by talking to witnesses who told the officer that Moody had changed his clothes. A second suspect, 23-year-old Elyshia Wilson, turned herself in after police posted her picture on social media. Because of her actions, Officer Baldino will be awarded the Police Duty Medal on Tuesday afternoon. The dispatchers working on Feb. 27 will also being recognized Tuesday with the Meritorious Unit Award. Police said Janel McNevin, Terri Bennett, Steven Ferrell, Gabby Trotto, and Brittany Drury helped keep the situation under control and contacted different units to respond to the scene. Officer Wertman was released from the hospital on March 14.